Sean is responsible for the creation and delivery of Poppulo’s product pipeline. He has 30+ years’ experience designing, building and delivering large scale enterprise software solutions including VP Research at Qumas and CTO at Vistech Software. Mojtaba (AKA Moji) is Partner at Grouper which focuses in the areas of technology transformation, program management, as well as, developing governance, risk, compliance and quality assurance management systems. With 14 years’ experience in strategic leadership and ICT operation assurance framework development, he has been advisor to boards of directors and executive teams within multiple industries including Insurance, Health, Telecom, Hospitality, Engineering, Oil & Gas, Utilities, Consumer Business, Retail, Outsourcing and Government. Mojtaba’s previous engagements include Advisor to the Department of Expenditure and Reform, Actavo Group, British Telecom, CIÉ and Iarnród Éireann. He has served in number of leadership positions including interim CIO to the Competition and Consumer Protection Commission, CIO to Cork based Ragatha Consulting, CTO to SEPAM Group, and, Head of IT to Smurfit’s 2006 Ryder Cup Venue, The K Club Resort where he enhanced profitability & considerable savings. As an entrepreneurial executive, Mojtaba is also the co-founder of a number of start-ups and has carried out comprehensive research studies in the HPC domain for governments and private sector SMEs. Thomas Cox is director of Intuity, home to ice cube and tec support, two technology companies with offices nationwide working with clients across all sectors in Ireland and the UK. Thomas joined the family firm upon completion of his studies and worked across various departments in ice cube over the next three decades. During this time Thomas continued to achieve numerous accreditations and awards for the company while also returning to study Personnel Management in GMIT. His passion for customer service, enterprise and business development has been key to the success and growth of the company and in 2011, Thomas led the team to become one of the first companies in Ireland to achieve the ISO 27001 Data Security standard. In late 2014 ice cube merged with the young and dynamic IT support and maintenance company, tec support, a fast growing managed service provider. As Intuity, ice cube and tec support deliver a 360 ° approach to client IT needs with specialised expertise in IT Security and GDPR. Both companies are now ISO Certified and also recently achieved Cyber Essentials Certification with Thomas leading the ISO committee and driving the HR function. Thomas lives in the Claddagh, Galway with his wife Karen and they have three children. In his free time he volunteers with The Irish Red Cross and is chairperson of Fr. Griffins Éire Óg football club. An ‘old timer’ of the wireless communications industry, Eoin gracefully exited to concentrate on investing and developing new business opportunities. In 2015 he co-founded Circular Data Solutions Ltd, a company specialising in supplying equipment that destroys ‘end of life’ data storage devices. Eoin is also an Entrepreneur in Residence at the Catalyst Inc Innovation Centre Belfast providing mentoring to start-up companies with high growth potential. Working closely with international Government departments and commercial organisations providing solutions to ensure the chain of custody of their ‘end of life data’ is not broken or compromised. Product manager for Privacy Filters and Screen Protection, developing sales and marketing programmes in EMEA region. Michael is the Co-Founder and CEO of Certification Europe. Michael setup Certification Europe because he felt that the process of certification and standardisation could be approached in a more client focused and dynamic fashion. 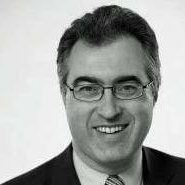 Michael is one of Ireland's leading authorities on standardisation and has also served on various EU Commission committees as an expert in information security and electronic signature standardisation. Michael was the Lead Auditor for the first organisation in Ireland to achieve certification to the BS 7799 standard (now ISO 27001). Michael is experienced in designing and delivering bespoke training courses and has conducted evaluations and certification audits on a wide range of organisations across a broad range of standards, including the Department of Defence, the Revenue Commissioners, Health Protection Surveillance Unit, Health Services Executive South, Vodafone, British Telecom and the Comptroller and Auditor General. Eoin (CISA, MICS) has been in IT for over 21 years and has been working in IT Operations, SAP Basis, Information Security, Data Centre operations, IT Project Management, and Auditing. He is currently the IT Manager for EMEA in Mallinckrodt Pharmaceuticals, and mainly works on Operations, Cyber Security, integrations and audits. He is also the company ISMS Manager for ISO 27001. Eoin is a member of ISC2, ISACA, IISF and the Irish Computer Society. Gareth has acted as a Data Protection Officer for 15 years, spending the past 2 years as the Global Data Protection Officer for Kerry Group. Gareth has extensive and first-hand experience of dealing with National Supervisory Authorities, interpreting existing and upcoming legislation and delivering a strong compliance delivery framework at both industry and company level. Tony Hughes is currently an Associate Director in Risk Consulting for KPMG Ireland where he specialises in the provision of cyber risk services to clients. As a UK National Cyber Security Centre Certified Cyber Professional, Tony has provided cyber risk advice to Northern Ireland Executive departments including advising on cyber risks surrounding the G8 visit in 2013. Tony is a founder member of the Institute of Information Security Professionals and has been involved in developing a number of cyber qualifications. He has also developed training for UK government IT auditors and lectured in Europe on various aspects of cyber risk and IT security auditing required by EU regulation. A qualified Certified Ethical Hacker, Tony is also a CISSP, Digital Fraud Investigator and a Certified Internal Auditor. Gary Seery is the COO at ProvidentCRM. Gary has 20 year’s experience in the technology industry, holding various roles in a technical and management capacity. Gary has worked in the transportation, manufacturing, telecommunications and software markets, currently he is leading a team of passionate software developers in Ireland leading CRM business.